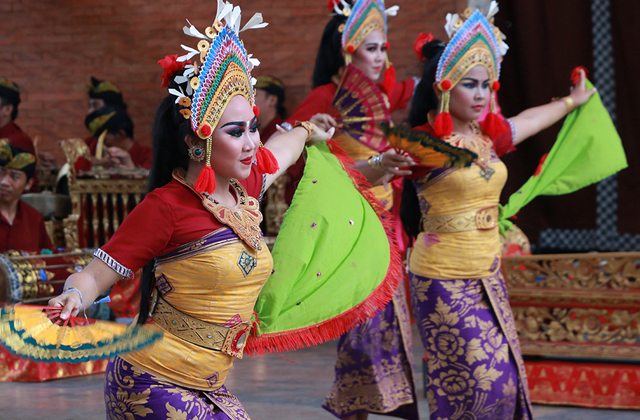 GWK is located on a high ground in the Jimbaran area, and is based on the theme of "Global Cultural Exchanges." At the park, you will be overwhelmed by the giant stone statue of Vishnu, straddled over the bird god Garuda. Here you can take part in a sembahyang (prayer) experience at a Hindu temple, watch a movie show about Hindu rites of passage, or view documents related to the transport of stone sculptures made in Java to Bali; and in the evenings, you can also enjoy some beautiful Bali dance performances. Also, ride on a Segway (a two-wheeled, stand-on electric vehicle) and enjoy the surrounding natural scenery across the park—a slightly different way to go out for a stroll! Wi-Fi only in Restaurant.Accessibility only in Rentaurant.